The disclosure of the price and configuration prior to exposure parameters are basically the same, but Gizmodo says the news is very reliable, it is estimated officially released so. Google tablet parameters are not prominent, but the $ 199 price is very competitive, amounting to about 1266 yuan, even if you count the various taxes, the domestic price is about 1499 yuan, may be even higher than the part of the cottage brand but Google’s influence can not be compared with other vendors, so the prospects are very promising, as long as domestic post correctly. 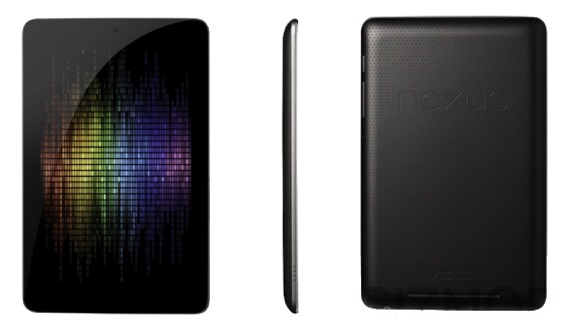 In addition, Gizmodo, revealed the news also showed that the tablet with the latest Android 4.1 system, Jelly Bean, has been transferred is 5.0, code-named, by convention, Google Nexus phone should be able to the first system to upgrade the hardware, look to Nexus tablet out, the third son of status are subject to a threat, after all, the tablet has been or will be the focus of Apple and Microsoft, Google is no exception. Hi, your report does not formally mention if it has WIFI or 3G/4G support. It has WIFI obviously, no SIM so no 3G. find high-quality writibg like yours nowadays. I truly appreciate people like you!